Antarctica is a continent on Earth, almost entirely covered by ice. This real world setting appeared in "7 Continents for 7 Koopas" from The Adventures of Super Mario Bros. 3. 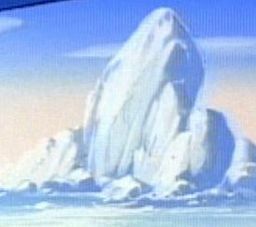 When Bowser tries to conquer the entire Real World, he puts Big Mouth Koopa Jr. under control of Antarctica. Big Mouth uses his magic wand to create an Abominable Snowkoopa to scare the penguins. Luigi later restores peace to the continent. In Mario is Missing!, Bowser and the Koopalings travel to Antarctica and build a fortress there. Bowser plans to steal and sell various artifacts, so he can use the money to buy hair dryers from Hafta Havit Mail-Order to melt Antarctica, flooding the Earth. This page was last edited on February 27, 2018, at 07:41.